There were a number of book award winners announced last week. 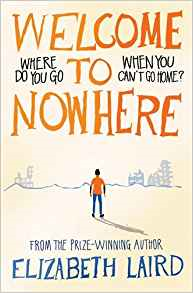 The 2018 winners of the Branford Boase Award were announced on Wednesday 4th July at a ceremony at Walker Books in London. This years winner was “Kick” by Mitch Johnson. “Kick tells the story of Budi, a young boy working in a footwear factory in Jakarta. His family are poor and the working conditions in the factory very hard, but Budi remains positive and optimistic, dreaming of life as a professional footballer. Johnson was inspired to write the story when he found a crumpled energy gel sachet in a shoebox between a brand new pair of football boots and began to wonder who had left it there. Later, as he channel-hopped between Match of the Day and a programme protesting the use of sweatshops, the disparity between star footballers and garment workers compelled him to highlight the issue, and he began writing Kick“. 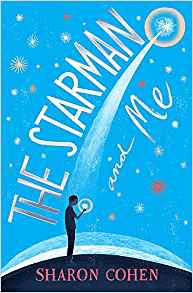 Sharon Cohen was Highly Commended for her book The Starman and Me. “Twelve-year-old Kofi discovers a prehistoric human, on a supermarket roundabout. He discovers that the Rorty can copy, paste and delete objects using only the power of his mind. However, this is causing unwelcome attention from scientists”. 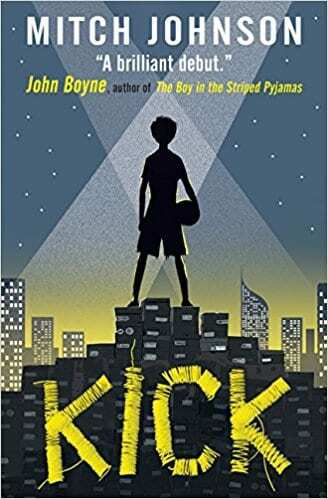 The 2018 winners of the UKLA Book Award were also announced last week, on Friday, 6th July. For the first time, there were joint winners in the 7 -11 category, as the judges were unable to choose between a refugee story and an information text. 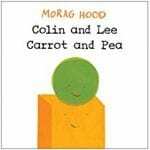 “Just because you happen to be a pea, is that any reason why you can’t be friends with a carrot? Lee doesn’t think so. This clever book explores the idea that diversity enriches our lives in a very simple way which children will understand. Illustration and text work together perfectly to offer a story which can be enjoyed in different ways. Judges commented ‘Very simple, very funny yet with pathos, very cleverly written to develop empathy and show the key values of friendship’”. “All twelve-year-old Omar wants is for his happy life in Bosra to continue. When the bombs start to fall, the family has no choice but to try to reach the safety of Jordan. Elizabeth Laird writes about important events with a passion and immediacy which will communicate to all readers. This is not always a comfortable book, nor should it be. This world is not always a comfortable place. Judges were impressed by the way it showed children how very ordinary lives can be affected by extraordinary circumstances ‘a tale that needs to be told’”. 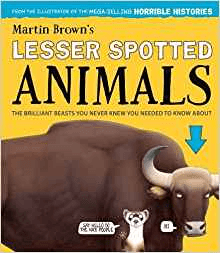 “There are some animals that don’t appear in most animal books. Martin Brown has brought together some of the strangest and interesting of these ‘lesser spotted animals’ here. Written in a witty engaging way which children will love, this book offers a great deal of information and celebrates the range of the natural world. Judges celebrated the ‘deep learning by stealth’ which this ‘superb model of an informational text’ encouraged”. “Jess and Nicu meet when they are both doing community service. 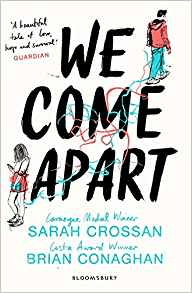 Nicu is expecting to return to Romania and an unwanted arranged marriage; Jess lives in an abusive household. Their love brings them together, everything is pulling them apart. Written in the voices of the main characters in very accessible verse, this poignant story is unforgettable. Judges were impressed by the ‘free verse which allowed the characters to come alive’ and enabled the ‘dialogue to read convincingly’”. Finally, last month, the 2018 CLiPPA Poetry award was announced at the CLiPPA 2018 Poetry Show at the National Theatre in London. The winner was Rhythm and Poetry by Karl Nova. Rising Stars: New Young Voices in Poetry was highly commended. Posted on July 9, 2018 by Laura Brett. This entry was posted in Book awards and tagged Book Awards, Primary, Secondary. Bookmark the permalink.